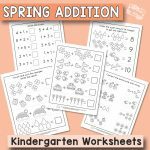 Introduce your kindergarten or first grade students to simple word problems with these spring word problems addition to 10 worksheets. 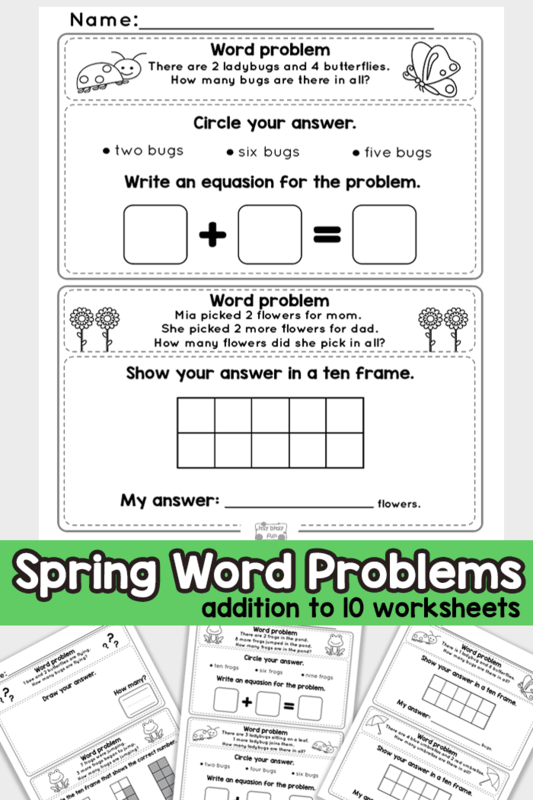 This pack is full with simple one step word problems, where kids need to add up numbers within 10 (with results being less than 10). 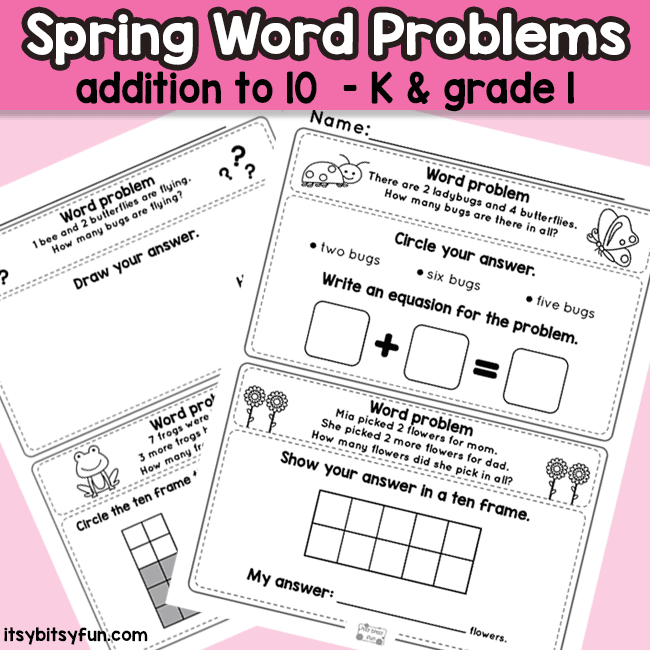 Word problems focus both on reading comprehension and math skills, with this particular set focusing on addition to 10. 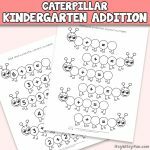 This makes this set perfect to use during spring months as it features a variety of bugs, flowers and other spring themed imagery. The problems are easy to read an understand and there is a variety of exercises to keep your students engaged. 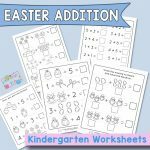 There are 18 worksheets, each with two word problems for kids to solve, totalling 36 kindergarten math word problems. There are 4 different types of excercises. version 2: show your answer on a ten frame and write it down. 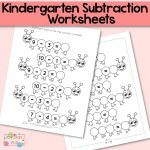 Perfect to practice ten frames too! 10 worksheets have mixed problems (two versions on each page) and the other 8 pages have the same type of problem (2 pages per version). 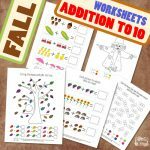 This gives enough variety to keep the kids engaged while they are solving these worksheets. Want to give these a try? 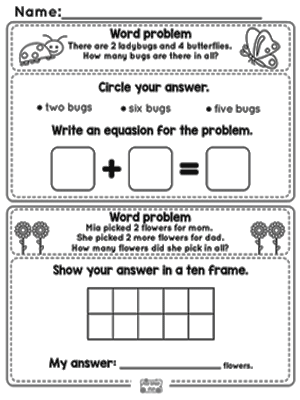 Print out this worksheet and see how fun they can be to solve.